A sound bar that can play music well is sort of a white whale. Most sound bars are designed to be cheap and only play explosions and dialogue well. The nuance demanded by music is beyond their capabilities. Even the decent ones, like Sony’s HT-NT5 or the high-end Definitive Technology W Studio, involve some degree of compromise. What about a system that’s built from the ground up for music, but can also act as a sound bar? 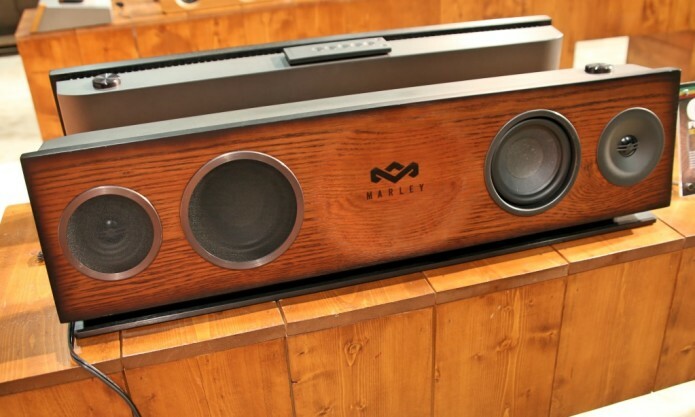 That’s the intriguing idea behind the House of Marley One Foundation. The system is designed around wireless music — Bluetooth and Qualcomm’s AllPlay — but it also features a wealth of inputs for connecting your TV or other device. We’re fans of the company’s design approach, down to the real oak facade, but the sound just doesn’t measure up to the price. Its bass is relatively anemic compared to systems with subwoofers. Further, treble sounds a bit harsh at volume, so despite being able to play louder than competitors, it doesn’t sound better. Add in the high price and massive size, and it’s tough to see who the One Foundation would appeal to.